At our first duty station, I was invited for lunch at the home of a senior spouse. 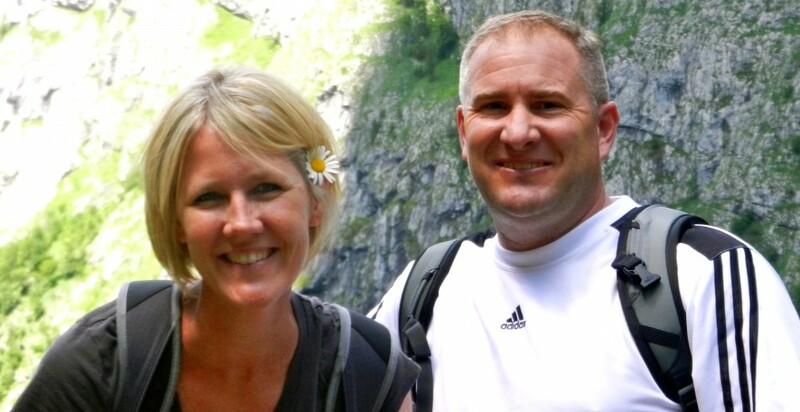 I was eager to get a peek into what my life might look like after a few years of military life under my belt. With just one step into her kitchen, I stood amazed. Upon every wall and empty shelf space was a dish or plate decorated with thousands of tiny dots. I had never seen these dishes before and, being a bit shy, I didn’t dare ask why she had these plates all over her kitchen. It wasn’t until a few months later when another new spouse asked me if I’d seen all the Polish pottery in this woman’s kitchen. “Polish pottery? Like from Poland?” And so began my slow infatuation with tiny little dots and whimsical flowers. 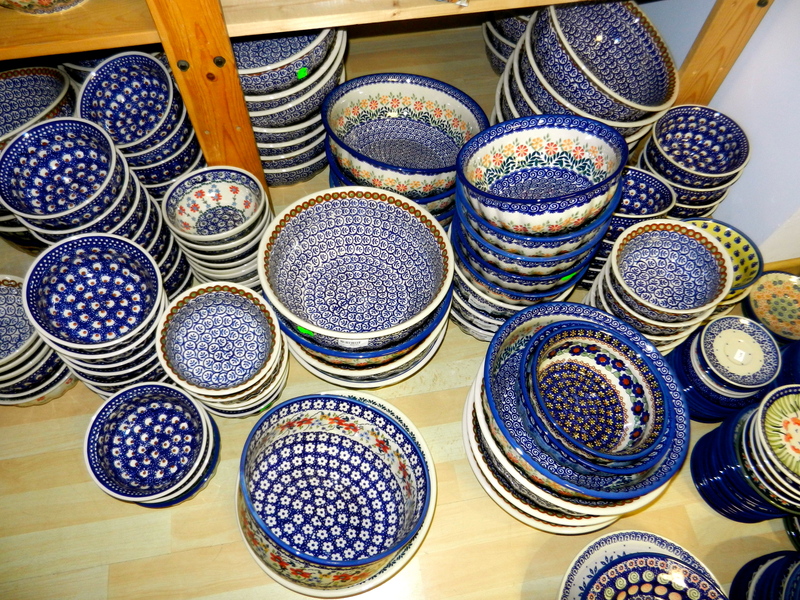 I have to admit that when I compare my shopping habits to that of others, I didn’t go exactly hog wild in collecting Polish pottery. But after my most recent trip to Boleslawiec, Poland (just a 4.5 hour drive from Hohenfels), I might have a bit of an obsession. 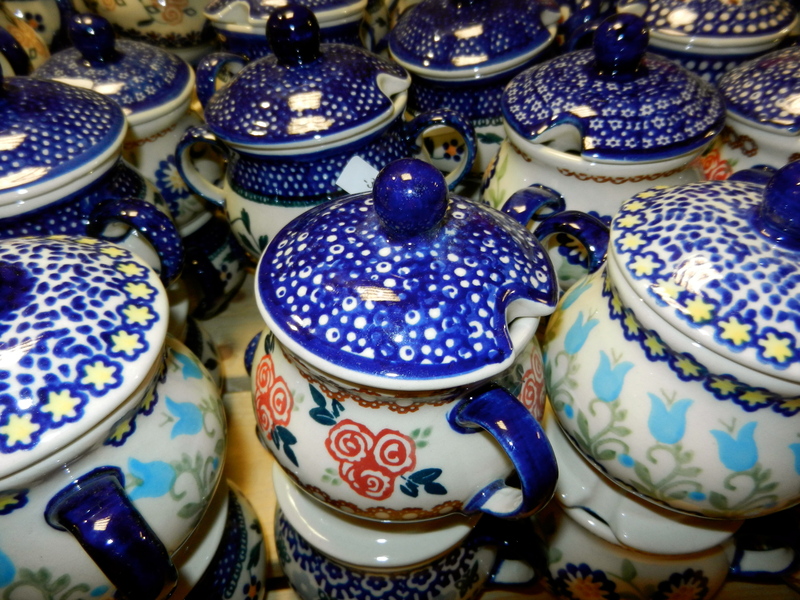 Typically, a formal dining table will balance color and pattern, but with Polish pottery, most women opt to go pot luck when selecting their pieces. The more color and dots, the better. 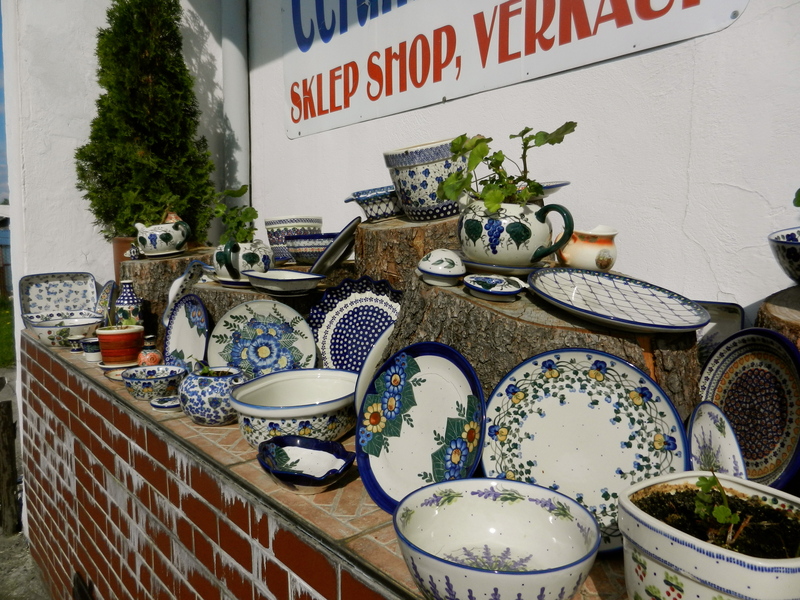 I used to wonder if there was a point when Polish pottery simply clashed with itself. And then came the realization…I don’t really care. And that’s how you know you have too much Polish pottery. 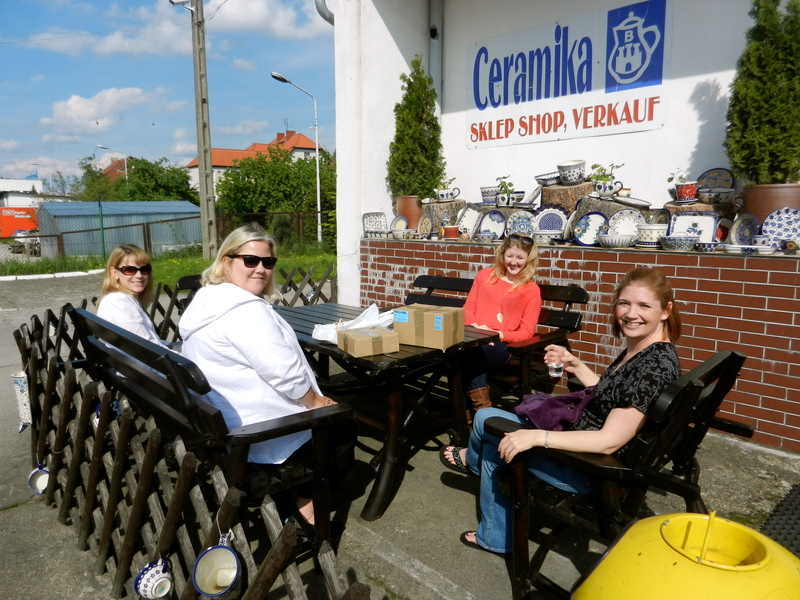 Part of the delight in any shopping trip to Poland includes staying at the Blue Beetroot Inn. Their well-appointed rooms, including excellent customer service from Jarek, the hotel manager, simply can’t be beat. We enjoyed dinner served while we had pedicures. How cool is that? After a day of hunting for new patterns, my tired feet were very happy. Who knew finding 6 cereal bowls could be so much fun? 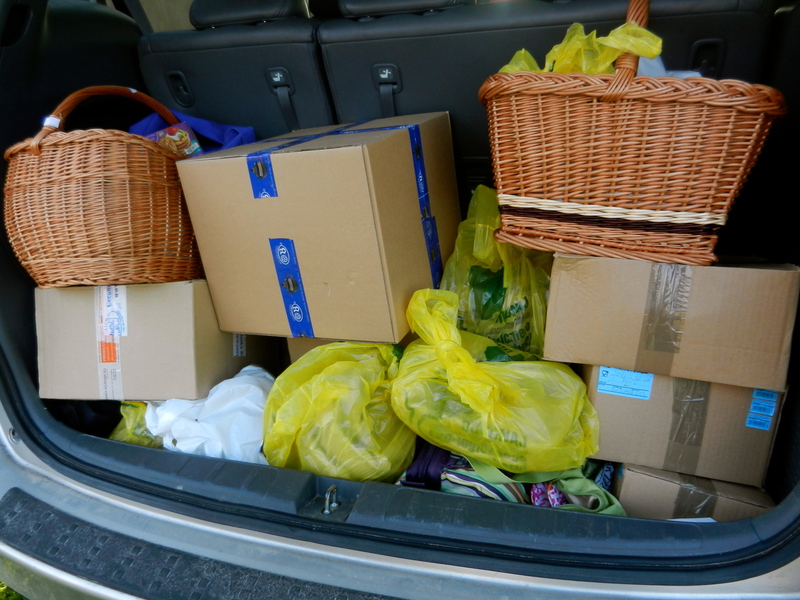 A packed trunk= A successful shopping trip!